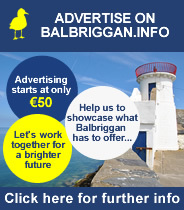 Balbriggan Roadrunners are a local running and walking club set up about two and a half years ago with the aim of helping people interested in running and walking at whatever level, meet similar people and provide motivation and support within the community. We meet 2 or 3 times a week and have about 70 members who turn up regularly as well as over 1100 people following us on Facebook. Runners range from beginners to very experienced, running various distances from 5km, 10km and upwards, a few have even run the marathon. The intention of the Balbriggan Roadrunners is to get people together for the health, social and motivational benefits of running in a group. There are no membership fees – the club is non-profit and is run totally on a voluntary basis. We are an inclusive club and our members are representative of the diversity of Balbriggan and we have runners from all parts of this community and well as surrounding communities. We are registered as a club with the Fingal Sports Council.